So, The Tea Dragon Society is adorable. Like O’Neill’s Princess Princess Ever After, it’s a warm fuzzy of a book: sweet and warm and gentle. It’s about taking care of ourselves and others; about responsibility and trust and love and loyalty; about reaching out our hands to those who need help; and it’s about holding on and celebrating traditions and arts that are in danger of being lost forever. As sweet as the humanoid characters are and as lovely as the (extremely quiet) storyline is—and they very much ARE and it very much IS—this book is all about the tea dragons for me. THANKFULLY, there’s an appendix in the back with lots of information about various breeds—for instance, Earl Grey dragons are nicknamed “Little Grandpas”, which, like, of COURSE they are—so I feel confident that when I inevitably stumble across a Tea Dragon in real life, I’ll be able to care for it properly. 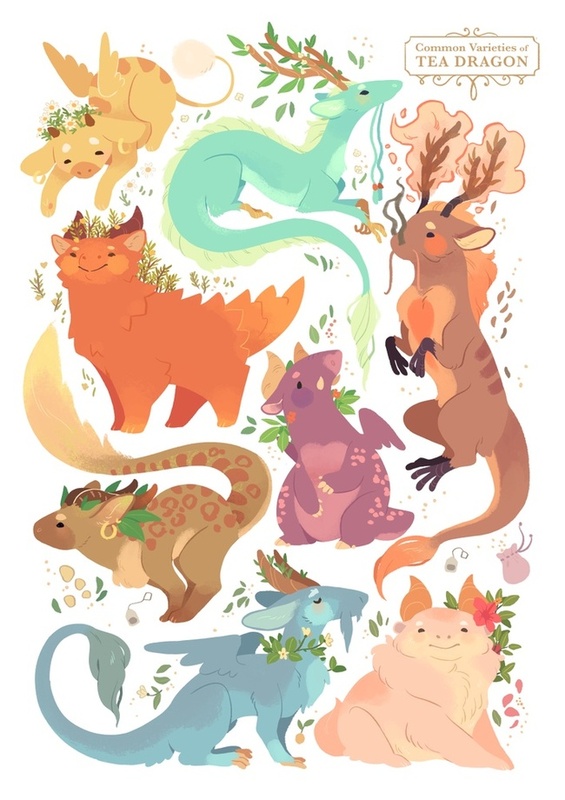 Katie O’Neill’s Tea Dragons, available here.